A front porch enters the home via a beautiful foyer containing a coat closet. The foyer leads past the dining room and into the kitchen. The kitchen is complete with granite countertops and island overlooking the glamorous family room. The family room with hardwood floors and boxed ceiling allows for an abundance of natural light to enter the home through large windows and provides access to the rear porch and yard via stunning French doors. 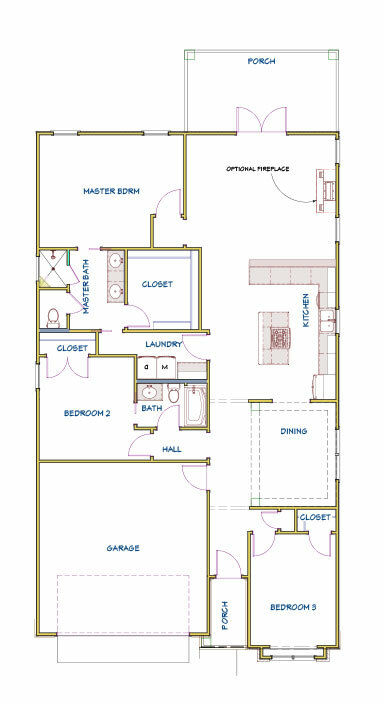 The large and cozy master bedroom and bathroom will be a place for relaxation after a long day. The master bathroom contains a large walk-in closet, tiled walk-in shower with bench, separate water closet, and double granite vanities with an option for full bathtub. The master bathroom also allows access directly to the laundry room. Two additional large bedrooms share a bathroom containing a single granite topped vanity, toilet and tub. 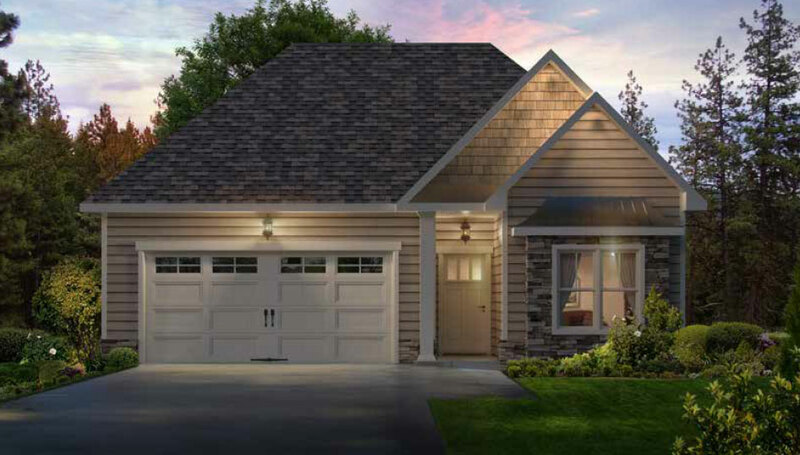 The two-car garage has convenient access into the foyer of this energy efficient home with spray foam insulation and tank-less water heater.